Nena’s Meats & Provisions founder, Kyle Lee McKnight, began his culinary career over 20 years ago as a ceramic, aluminum, glassware, stainless steel technician, and then was off to culinary school. His travels have taken him all along the southern coast of the United States and the Caribbean Islands. North Carolina is where he has finally established his roots. Through these travels and experiences, his desire for local products, and flavors were developed. Relationships with local producers and true connectivity with the ingredients have facilitated success in numerous restaurants along the way. These relationships are what assist in the circle of friends who provide for the creation of Nena’s Meats & Provisions products. For over a decade, special chili seeds were grown, saved and shared among friends in the Carolinas. So, in 2016, the circle of friends were ready with their biggest crops to date. 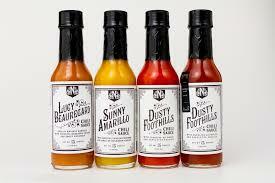 This launched the first product, Dusty Foothills chili sauce. 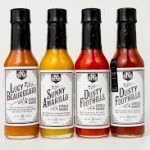 Kyle’s networking and creative development continues with the release of Lucy Beauregard and Sunny Amarillo chili sauces. Future products include condiments, hot dogs, deli meats, vinegars, dry cured meats, and natural sodas and colas. Finally, about the company name – it honors his greatest joy – his daughter, Nena.